Looking Back Most people using GIS or remote sensing data came across the data obtained by the landsat satellite family. It all started with the Landsat 1 mission on July 23, 1972. The Landsat missions aquired millions of pictures which made available to public usage in 1992. Sensors developed and provided more and more details in terms of spectral and ground resolution. unsupervised classification of a raster in R: the layer-stack or part one. 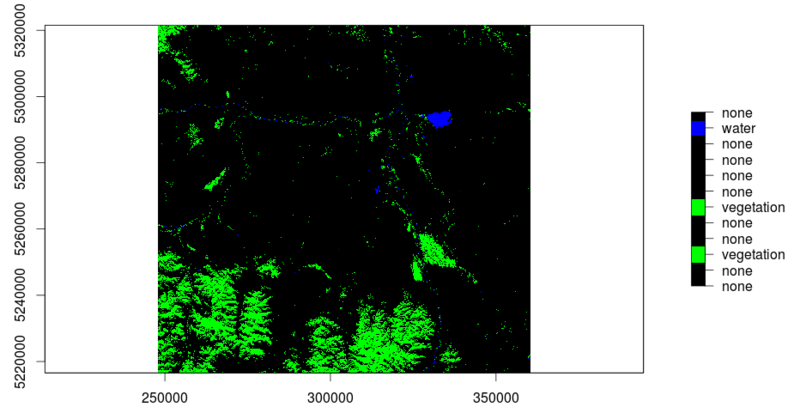 In my last post I was explaining the usage of QGis to do a layerstack of a Landsat-scene. Due to the fact that further research and trying out resulted in frustration I decided to stick with a software I know well: R. So download the needed layers here and open up your flavoured version of R (in my case RStudio).